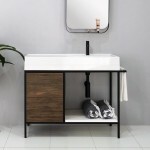 Categories: Bathroom Tiles, Benchtops & Splashbacks, and Vanities & Basins. 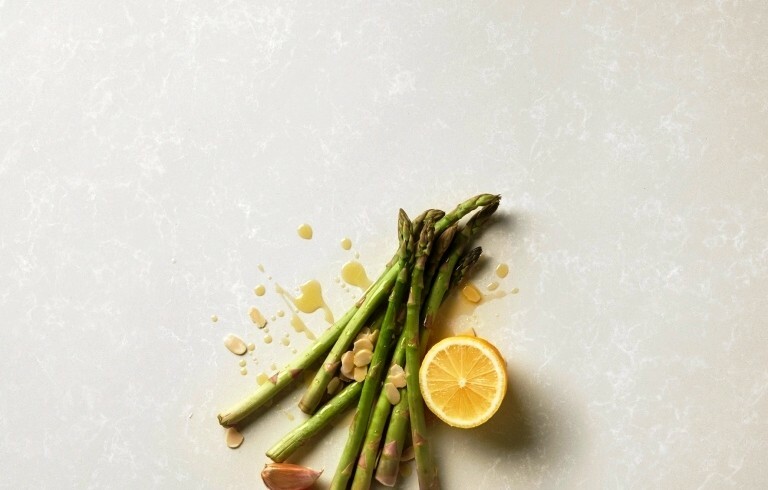 Combining the tactility, beauty and heft of natural stone with the durability of European quartz, Essastone’s collection of engineered surfaces delivers functionality with panache. Essastone has added a suite of new styles to its premium range, introducing seven elegant designs. 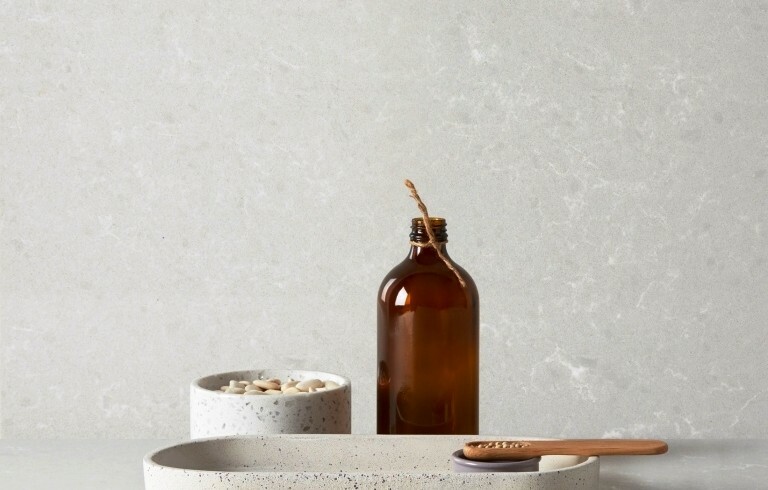 From kitchen and bathroom benchtops and splashbacks to internal wall cladding and fireplace surrounds, an Essastone surface exudes finesse and design flair while remaining impervious to the wear and tear commonly associated with marble. Essastone’s generously proportioned slabs can be specified for large-scale installations without unsightly joins, giving home renovators license to envelop entire spaces with lashings of stone. The seven new styles evoke marble, granite, concrete and terrazzo with subtlety and realism. 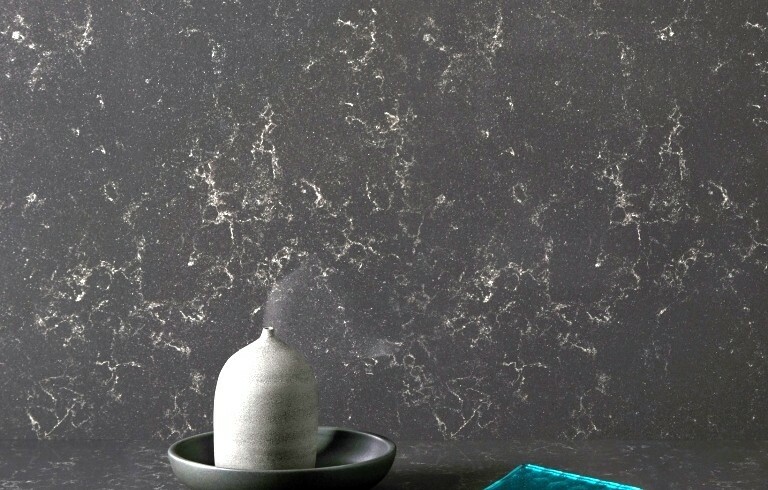 From Marmo Bianco, with its pearlescent, ivory tones and fine, marbled veining, to the smouldering noir, Grigio Novello, these additions take the range to 34 designs. 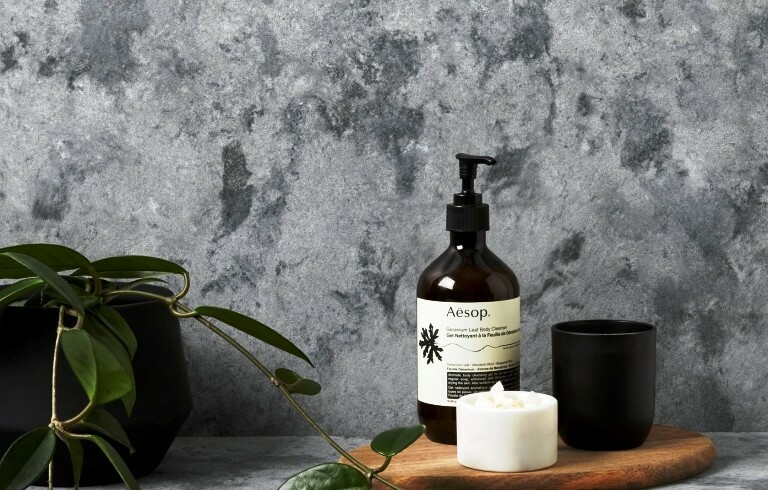 A major highlight of the 2018 collection is Luna Concrete, which distils the strength and utilitarian beauty of off-form concrete. Its weathered finish and hand-trowelled look is not only ideal for contemporary, industrial-inspired kitchen design, but also suits modern coastal or classic country home renovations. Luna Concrete combines the versatility and resilience of engineered stone with concrete’s timeless aesthetic and tactile appeal. Other standouts include Terrazzino, which channels mid-century Italian design peppered with playful, confetti-like quartz crystals. Characterised by a chic, grey-tinged base, this is a more subtle, contemporary take on the aggregate stone look that’s currently enjoying a renaissance in kitchen renovation. Meanwhile, Perla Venato is bathed in a crisp, milky-white hue that’s enhanced with understated tonal gradation, making it a fresh and luminous choice for minimal or classic kitchen design. 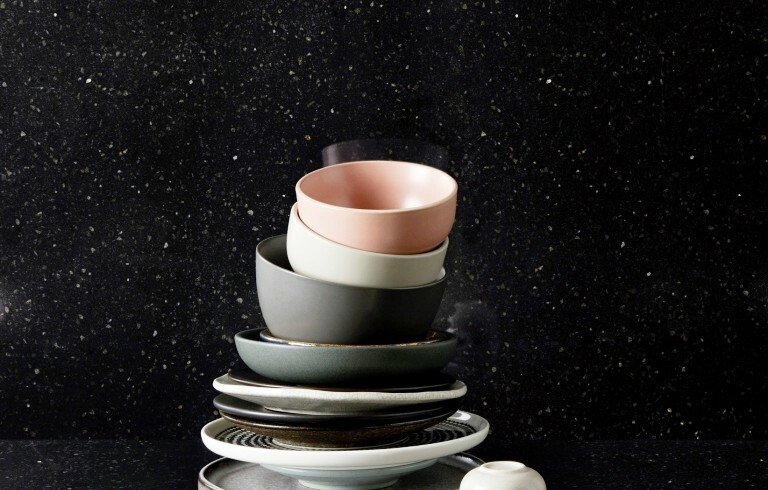 And Lava Black goes deep with tumbled granular details that enliven an otherwise moody, pitch-dark plane. It’s perfect for pairing with dark joinery in a sleek, contemporary kitchen renovation. ESSASTONE LAVA BLACK. A sleek, minimal take on classic dark granite, Lava Black achieves a noirish look imbued with depth and elemental appeal thanks to its flecks of grey basalt and coffee-toned granular detail. ESSASTONE TERRAZZINO. 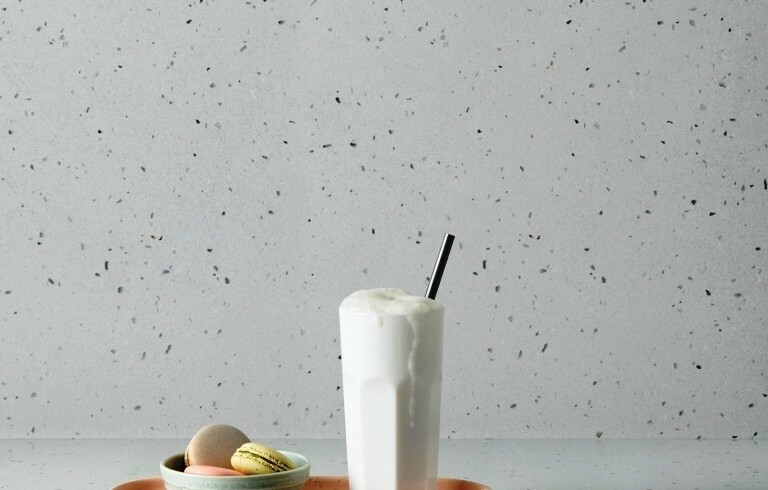 Confetti-like quartz crystals pepper Terrazzino’s light grey base to deliver a smart, contemporary update on the traditional Italian terrazzo style that’s so hot in 2018/19. ESSASTONE MILANO VENATO. 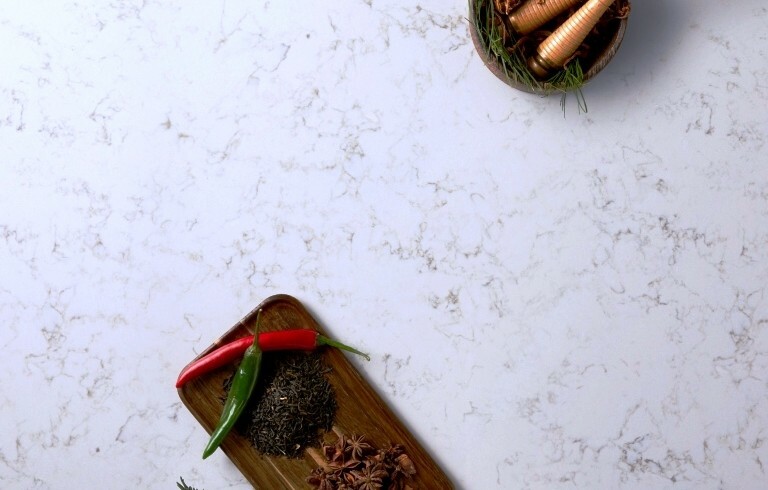 A delicate, milky-white surface enlivened with soft, snow-white veining, Milano Venato achieves a quietly radiant look that’s perfectly suited to any application or colour pairing. ESSASTONE PERLA VENATO. An understated warm-grey base shot with delicate, off-white veining and sophisticated gradation, Perla Venato is characterised by its soft elegance and luminous, opalescent tone. ESSASTONE GRIGIO NOVELLO. Smouldering charcoal shades coalesce with smoky, taupe-coloured veining to form Grigio Novello, a dramatic yet highly versatile surface for both residential and commercial projects.